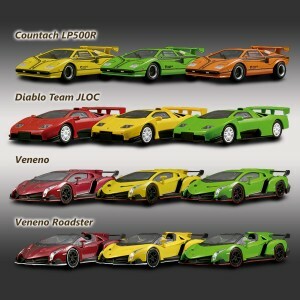 Without any surprise, the next Circle K Kyosho collection in September will feature Lamborghini models. The Karuwaza exclusive will not be a matte black version this time but a metalic blue Veneno Roadster. This entry was posted in 1/64, Kyosho. Bookmark the permalink.